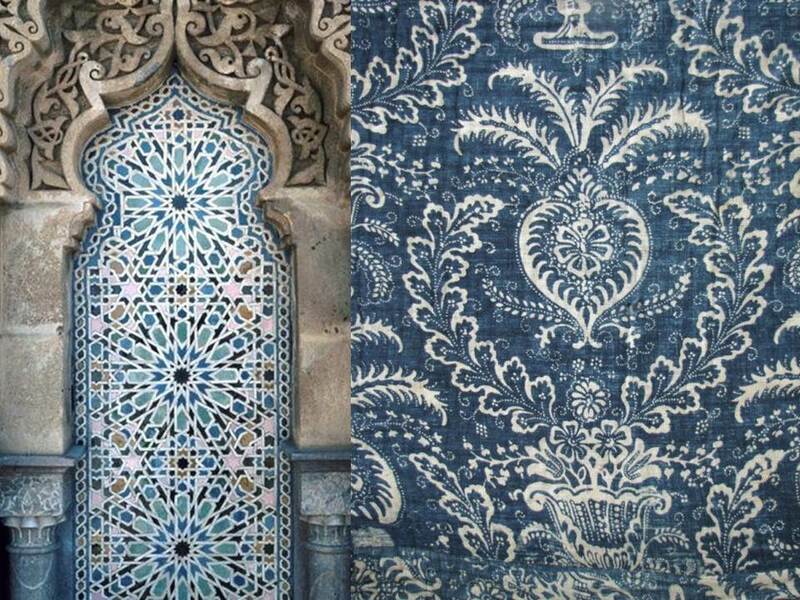 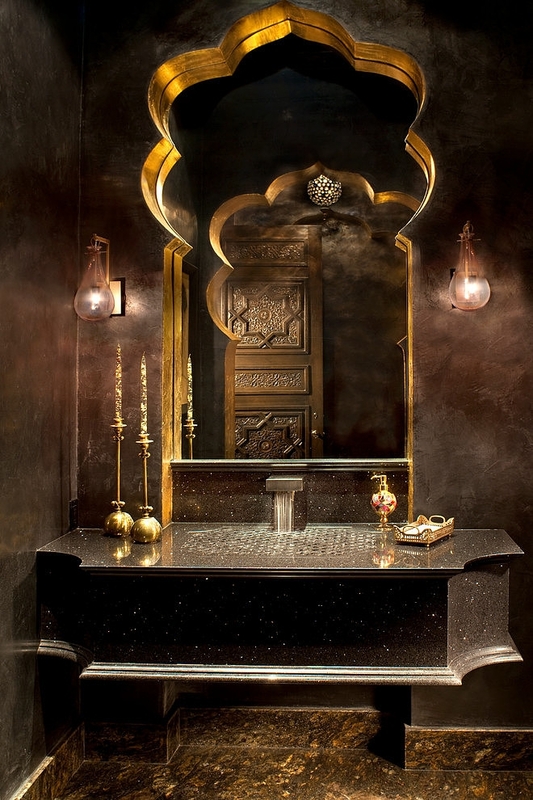 Recently, it is becoming a huge trend to adopt ethnic luxury into our spaces and no doubt Moroccan style is one of the most popular one. 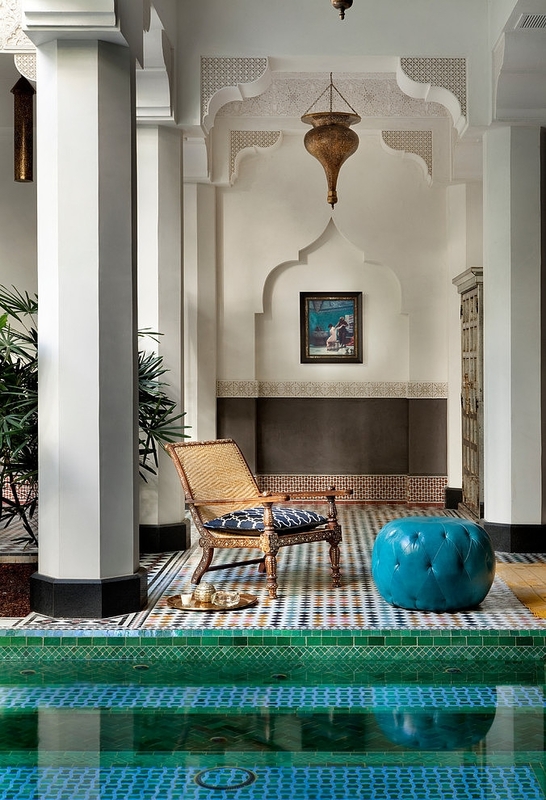 Some likes to travel to the distant lands to experience the feeling of different living styles but some would prefer to bring an exotic dreamland to footsteps ahead. 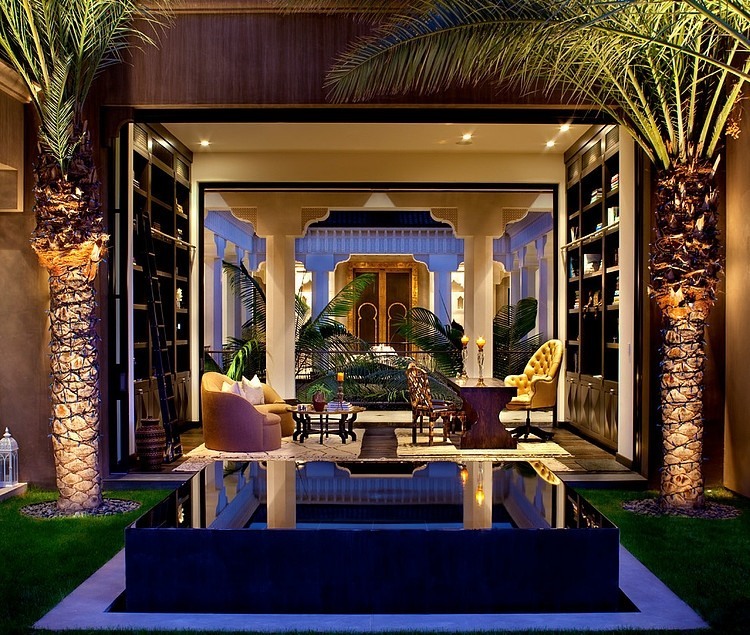 Just like the Kasbah Cove which is built-in Palm Springs, California. 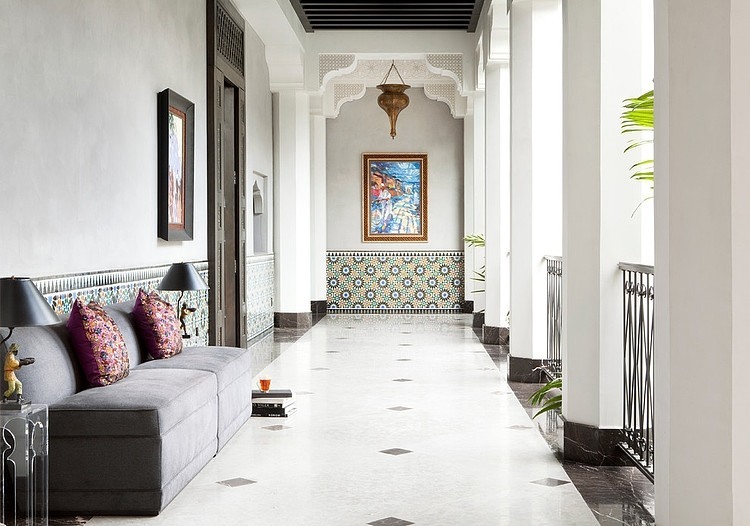 The exquisite Moroccan style house is intricately designed by Gordon Stein Designs exposing all the beautiful architectural details of a Moroccan Riad. 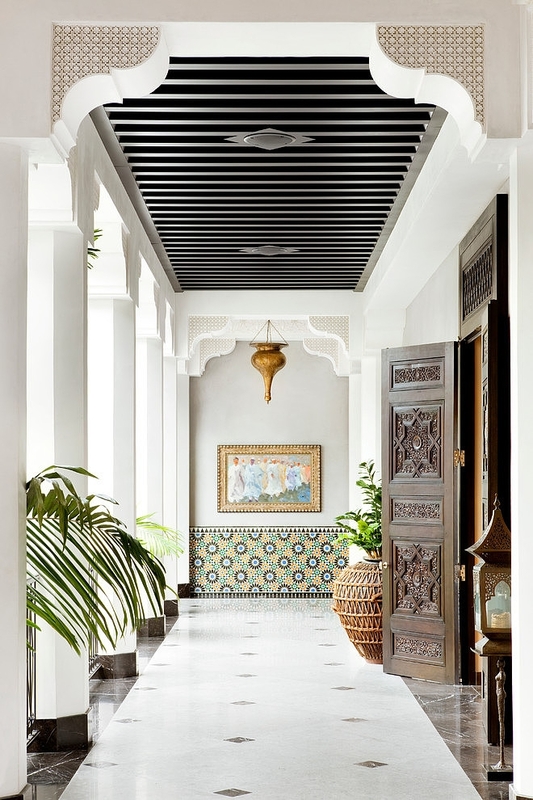 The House was built by Moroccan craftsman who spent months working on the site and paying attention to each detail of construction. 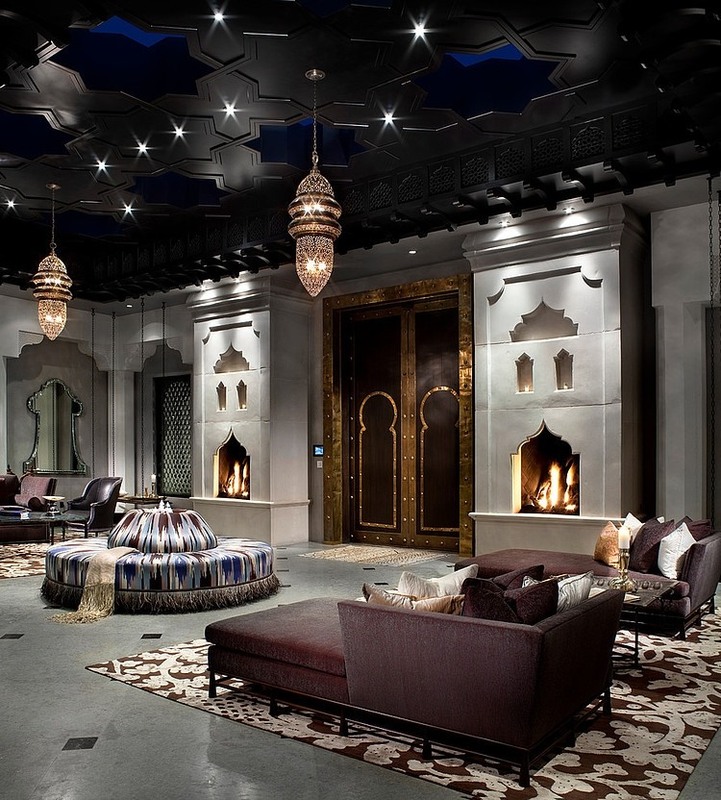 Nothing was missed in the project, star-shaped glass ceilings, custom-made tiles, special designed and produced Moroccan carpets, stone fireplaces, windows, archways, Siberian oak floors, hand carved wood, traditional style metal lamps, glass work and beautiful fabrics with elegant patterns. 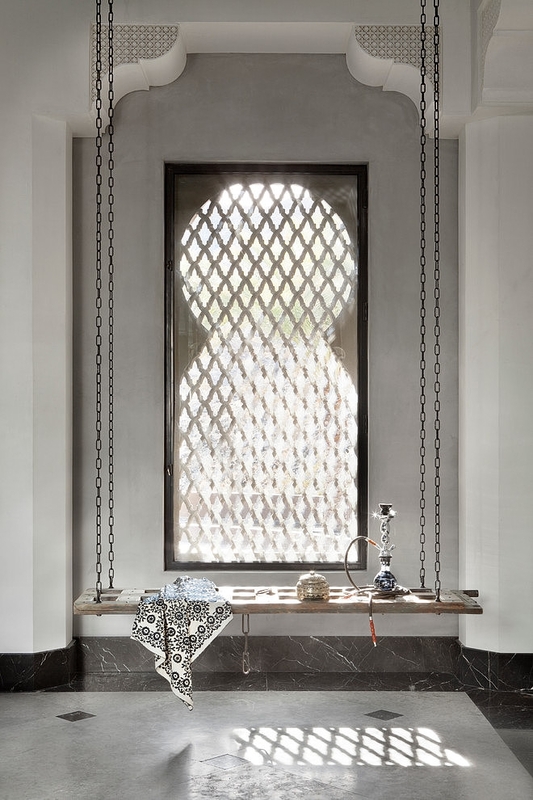 Each room of the Kasbah is different from another but they are bound together in great opulent style. 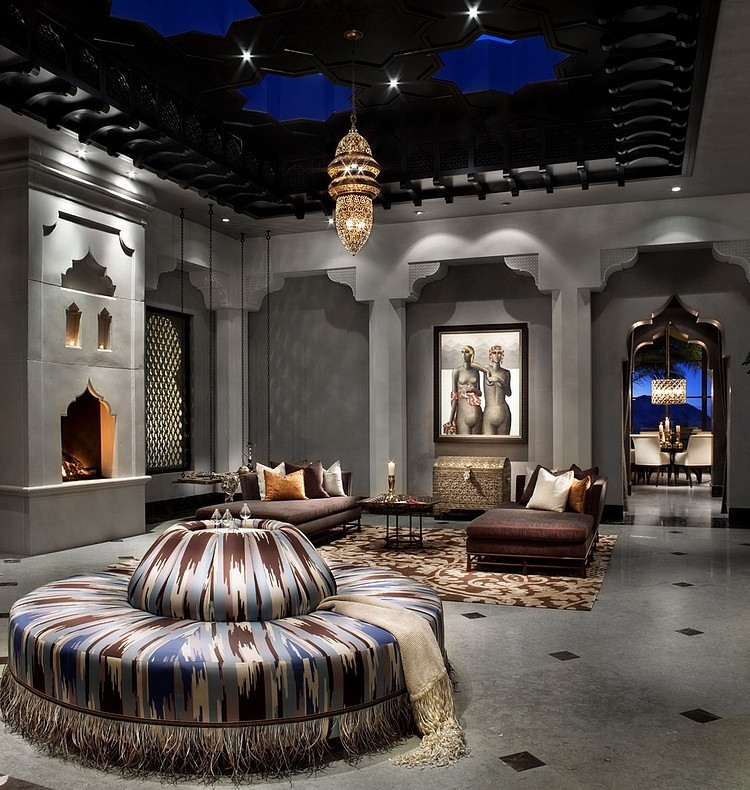 This masterpiece is inspirational for bringing the fancy Moroccan style into comfortable but sophisticated and out most luxurious home. 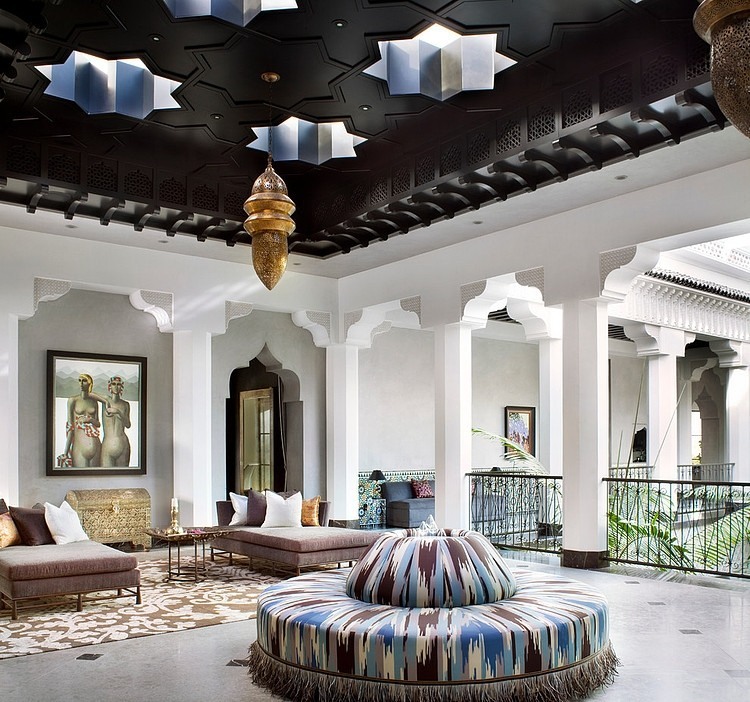 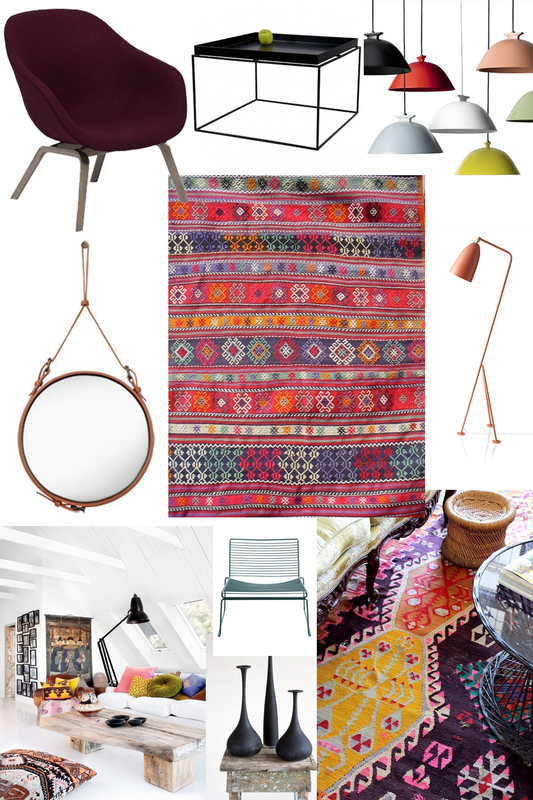 It maybe really hard to adopt the architectural details from the Kasbah but if you sympathize the oriental style it is still possible to get inspired by and to bring the few details to home getting helped by the exotic textiles ikat furnishings, tribal rugs, velvet pillows, Moroccan style blankets and soft carpets. 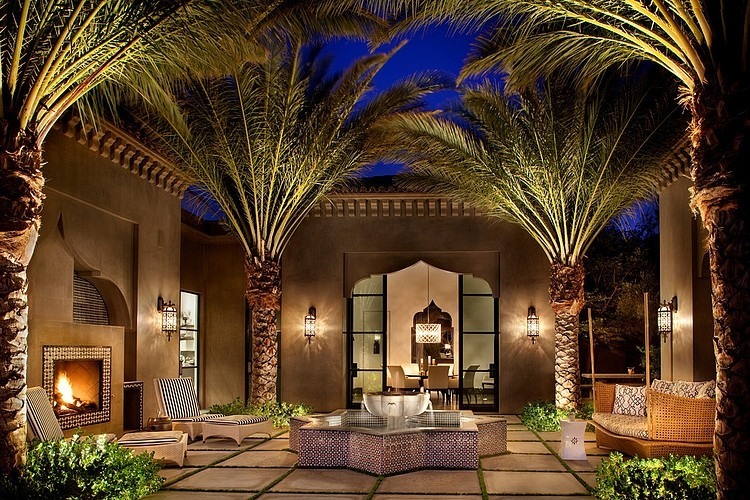 Take a look at details of these fancy photos of this luxurious Kasbah, I m sure you can find something which you can add to your exotic dream space to give charm.